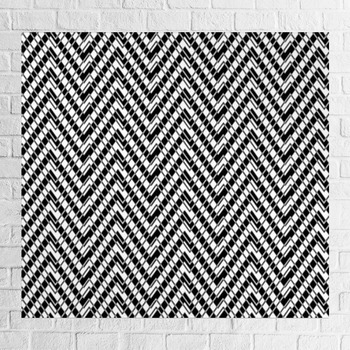 Exhibit both the abstraction of modern art and the familiarity of a vintage style in your guest room, kitchen, or family room with our chevron wall art. 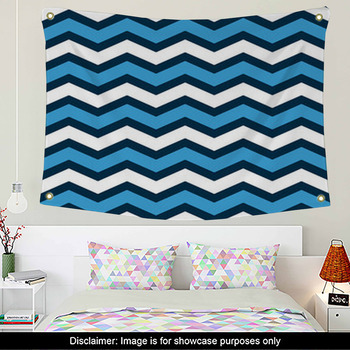 Select wall hangings that display the upbeat feel of chevron in colors as boisterous as the pattern itself. 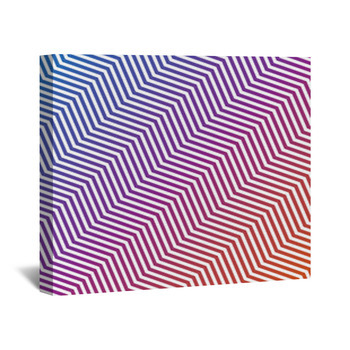 These zigzags also come in shiny colors, in 3D, in monotone, neon, glossy, rainbow and even other unique variations of the motif. 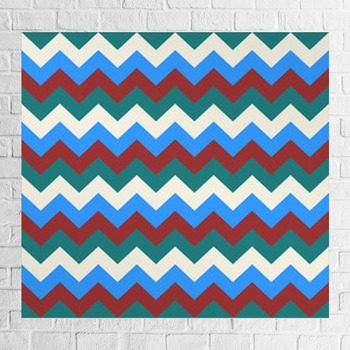 Spark dinner conversations with your custom wall decor by hanging up a blend of color and pattern that conveys the care and honesty of your home. How about sharply angled streaks of chocolate brown, pink, deep yellow, and white? 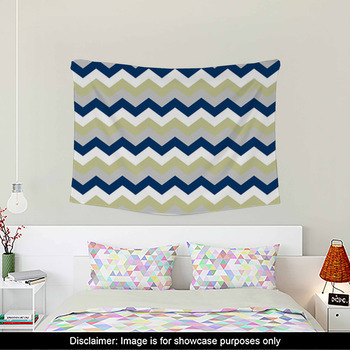 In the guest room, go for something simple and relaxing, like our posters that portray chevron made from soft gray zigzags interspersed with thinner white ones. 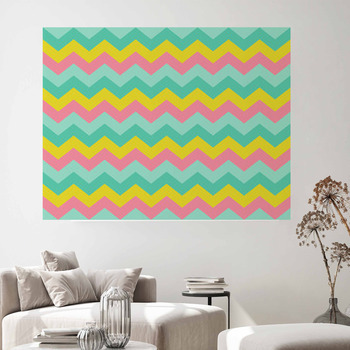 Then, give your newborn an invigorating decoration in the nursery with a poster that pictures chevron formed from pastel shades of green, teal, and orange and a baby bedding of the same shade. These broad lines are also shaped with double peaks, giving the pattern even more motion and fun. We also have chevron wall art for your husband's office. Help him concentrate and feel confident with canvas wall art that features narrow zigzags of glistening copper set on solid black. 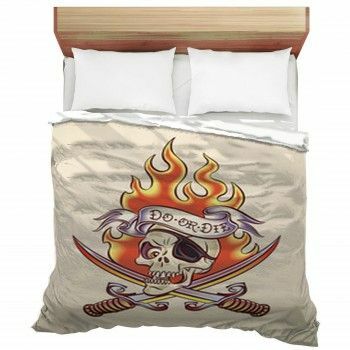 And if these designs aren't what you prefer, then design your own! 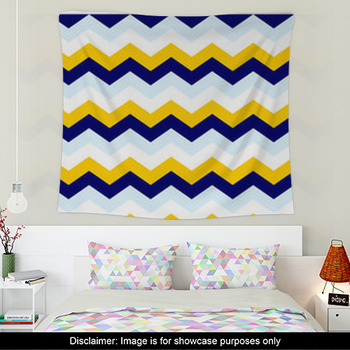 With VisionBedding's full personalization and customization options, you can select the chevron color and style that best fits your walls. 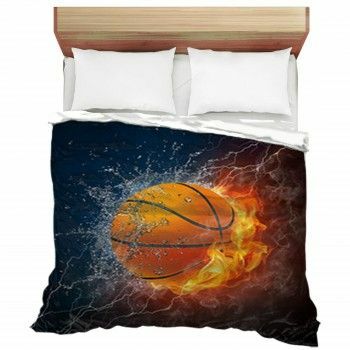 Alter the luminance of the colors, add your own colors, or even layer on messages to personalize the wall art even more. 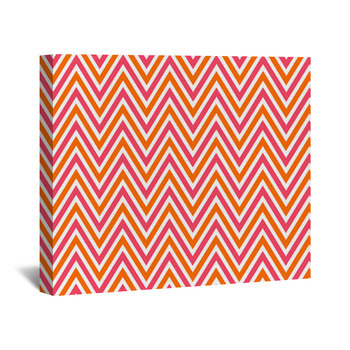 You can add your own pictures or illustrations behind or before the chevron for a timeless and curated look. 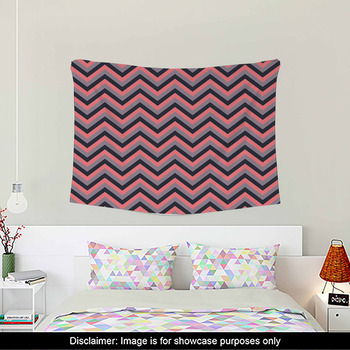 Let your walls show off your clean and chic style: go with VisionBedding's chevron-themed wall art.